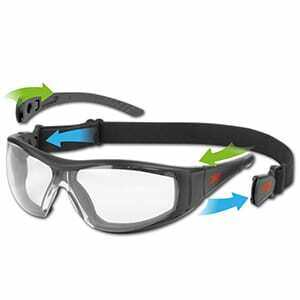 Stealth Hybrid™ offers eye protection in the form of a safety spectacle as well as safety goggles. With side arms attached the Stealth Hybrid™ is a safety spectacle providing protection to 1F standard and with the strap attached it is a safety goggle providing protection to the 1B standard. 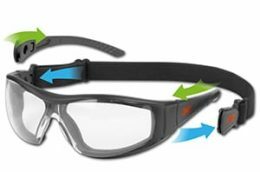 Both offer protection from UV, as well as increased dust and airborne particles compared with a standard safety spectacle. • Dual purpose – Quick release spectacle arm and strap design. • Changeable lens – Allows for quick change of lens to suit application. 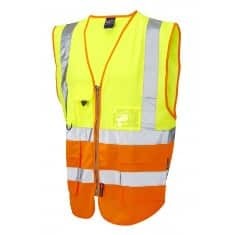 • Adjustable – Pantoscopic angle adjustment to allow a customised fit. • EVA Foam shell – Providing a secure and comfortable fit. • Sports style wrap-around design.